A recent spate of digs at this fashion trend has been making me uncomfortable. See for example this by John Oliver (funny) or this on Jezebel (less funny/misfired satire?) (But props to the author for citing Heather Vaughan’s excellent history of the maxi dress). In trying to figure out the source of my discomfort, I recalled the course I sometimes teach. It’s a course in fashion and cultural studies, guided by Dr. Susan Kaiser’s text of the same name. In it students are encouraged to think of themselves not just as consumers of clothing, but as fashioned subjects in a global network that includes production, distribution and representation, and that is reproduced in and through hegemonic discourses of gender, sexuality, race, class, national identity, age and so on. During the first class I always ask my students a simple question: How do you choose what clothes to wear? And I always get the same answer: I just want to be comfortable. This response comes from students of all genders and ages; students in jeans and t-shirts, in mini-skirts and thigh boots, sweatpants and Uggs, bro-tanks and basketball shorts, and once from a young woman wearing a leather bustier, denim short-shorts and platform sandals. They all considered themselves to be dressing primarily for comfort. And we use that as a jumping-off point for understanding that what equals comfortable is shaped through our cultural context. And that “comfort” is valued differently and means different things at different times. Many Victorian women felt a variety of comfortable in their corsets. (You say we need perfect posture and an hourglass figure? Well here it is! But I’m taking it off at night) Getting rid of the corset didn’t mean we stopped policing women’s bodies. As Valerie Steele pointed out, what we really did was not so much “free” ourselves from the corset as internalize it. But in the late 20th/early 21st century, “comfort,” which is also supposed to equal “being ourselves,” is in itself our highest ideal. But what do we really mean by it? To me the call to comfort is in part a call to willful ignorance. Someone who is “comfortable” doesn’t think too much about her/his appearance. Because s/he is too busy with higher concerns. Comfort in its positive sense implies clothes that you can work and move in (even if the term gets applied to any outfit we feel like “ourselves” in). It is an update of the old belief that fashion and function are in opposition to each other. We Euromoderns love a good binary, but those binaries don’t nestle side by side. One is always on top of the other – and in this case, function (coded active, industrious and masculine) is on top and fashion (coded lazy, leisured and feminine) is on the bottom. So, masculine “comfort” is active and industrious, whereas feminine comfort, especially when combined with “fashion,” is lazy and self-absorbed. The paradox is that women are not supposed to actually BE comfortable. They are supposed to represent “Comfort.” In other words, to APPEAR comfortable, which really means that our appearance should make those around us comfortable. (A point the Jezebel author does sort of make at the end of her article, but in a way that – as seen in the comments debate following it – doesn’t quite undo the preceding pile-up of snark. I didn’t even catch her “jk!” until my 2nd read through. Amy Schumer’s recent parody of “natural make-up” is a better example of this point). All of this leads me to suspect that the real reason for the hate aimed at maxi dresses is that they they are actually comfortable. What could be more physically unrestricting than a loose tube of jersey? It’s summer clothes that you can wear without shaving your legs or getting your body “bikini ready”! But more to the point, it upsets us that women are wearing this “unflattering” style in public. 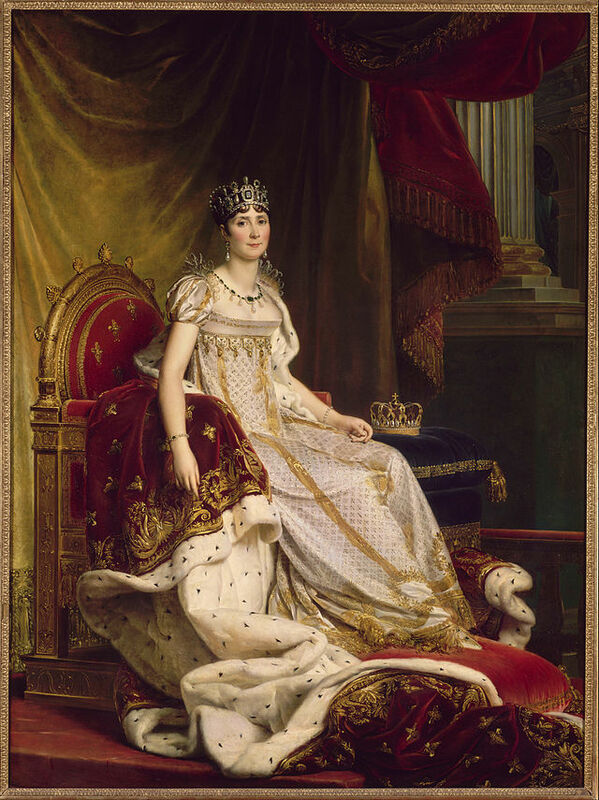 The maxi dress’s great-great grandmother could be the Empire style popularized by trendsetters like Josephine Bonaparte around the turn of the 19th century. The style represented comfort then too. But it was an ethos feminine comfort promoted by guys like Rousseau. At that time, it was very impractical to run around town in thin white cotton or silk (cities were dirty, washing machines were people, and these textiles were really expensive). So wearing a dress like this signified physical freedom, but that freedom could only be achieved within the domestic sphere. It was a style whose very simplicity referenced simultaneously at least a passing appreciation of Classical society, and wealth enough to live within the leisured confines of home. Despite being named for an Empress, the cultural and material capital it represented might make it the first bourgeois women’s fashion. The maxi dress, in its very veiling, reveals the ideology of comfort. Comfort is still a bourgeois ideal, but we don’t like to have it rubbed in our faces. We like our comfort with parameters. Yet, the maxi dress is comfort without practicality, public without purpose, excess without industry. It’s Josephine without Napoleon, Kim without Kanye. In short it’s everything women have been told that they are and must not be. And it doesn’t give a f***. In short (or long, really), in its current incarnation, the Maxi Dress is pure feminine fashion with its middle finger pointed firmly in the air. And that makes us uncomfortable, so we read it as all at once trendy and self-absorbed, undisciplined and lazy. I’m not a particular fan of the maxi dress per se. As a shortish, chubby-ish woman, I’m too afraid of exactly the kind of vitriol articulated in the Jezebel article to go near it (but I’ve seen plenty of short, curvy ladies looking charming and at ease in the style). Also, I tried a version of it in the aughts when I was young and a borderline eating disorder – more commonly known as a diet – transformed me into a (miserable, calorie counting monomaniacal) skinny woman. 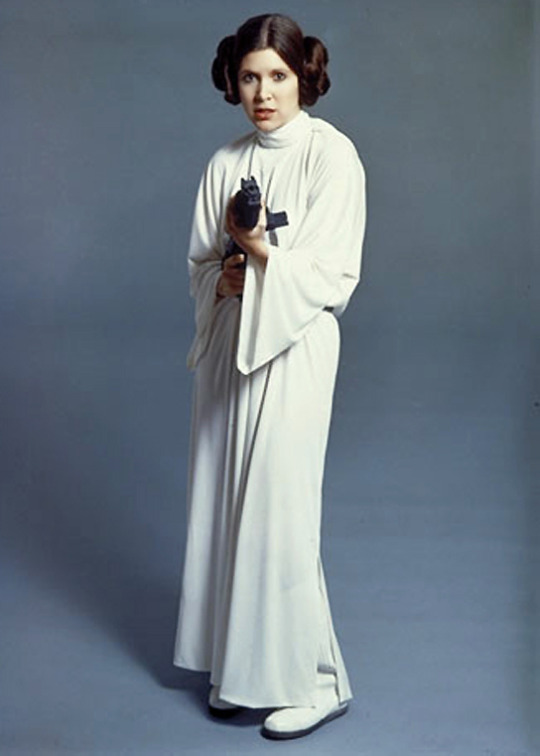 At that time, it felt too much like a Princess Leia costume, and thus too reminiscent of a time in my life I was trying to put behind me. I’ve also long been suspicious of the style because the industry has made repeated attempts to push it on consumers before it finally caught on in the 21st century, which makes me think it must just be really easy to produce cheaply. But I think there is a reason the style stuck this time, and it might be a reason worth celebrating. Sara T. Bernstein, Ph.D. has been writing about and teaching media, cultural and fashion studies for over a decade. She's served as a contributor and reviews editor for the Fashion, Style and Popular Culture Journal, contributed to Critical Studies in Fashion and Beauty and published essays on subjects ranging from fashion in the work of Charlotte Bronte, to the meaning of luxury, to feminist pedagogy. She teaches visual culture, media, and fashion studies at Pacific Northwest College of Art. This entry was posted in Fashion Research and tagged cultural studies, Fashion, fashion history, fashion trends, gender discourse, maxi dress, princess leia, Style Discourse, teaching fashion. Bookmark the permalink.